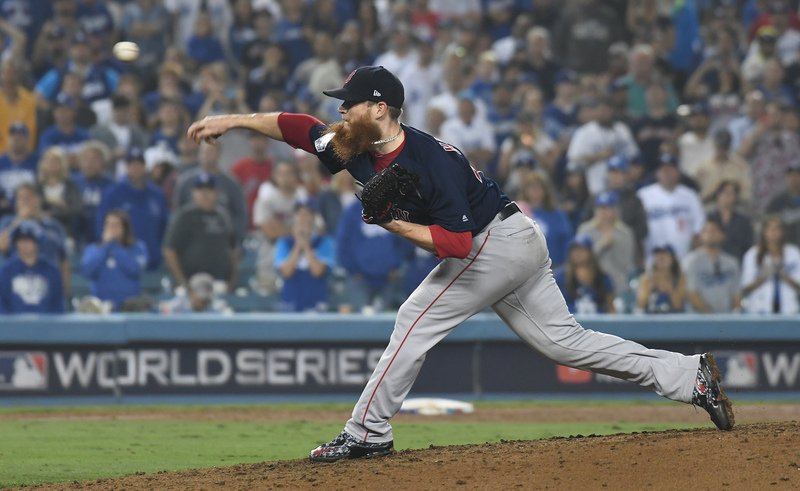 Even though the Red Sox have been crowned as World Series champs, it doesn’t mean that the action has stopped in Major League Baseball. MLB’s hot stove season is starting to sizzle a bit. The off-season moves that each team makes are important for baseball bettors to stay on top of. Knowing the landscape of player movement can have a big impact on baseball wagers and their success. Here are the MLB trade rumors currently swirling around. Could Syndergaard Be On The Move? Mets flamethrower Noah Syndergaard could finally be on his way out of New York. Trade rumors were swirling last year, involving Syndergaard and the Padres, who showed interest in him. San Diego wasn’t willing to give up some of its young talent, though, and the deal fell through. But the Padres’ interest has not waned, and they’re back at the negotiating table, apparently. Ken Rosenthal of The Athletic reported on Friday that the Padres are looking to trade for Syndergaard, and that this year, they’re going to make a stronger push, so the deal may actually happen. As far as who might be involved in the deal, the Mets need infielders that can hit, so that makes Fernando Tatis Jr. an attractive possibility. They could also look at acquiring a pitcher, such as Dinelson Lamet or Clayton Richard. If they’re looking for outfield depth, Franchy Cordero could be an option as well. Injuries decimated the Mets last season, but it doesn’t look like they’re going to compete as a legitimate contender in 2019, so Syndergaard very well could be on the move in the coming weeks. Stay tuned. The trade for Sonny Gray was one of the Yankees’ worst moves in recent years, no matter how you slice it. Giving up young talent — including infielder Dustin Fowler — for a player that was abysmal in his home starts, and provided absolutely nothing in the playoffs (which was why the team made the move in the first place), was an absolute disaster. It’s hard to put into words how bad Gray was in New York, considering he was fairly dominant in Oakland. He posted a 4.90 ERA, and really never had one comfortable outing where he cruised at Yankee Stadium during his tenure there. As such, it was inevitable that he’d be moved during the offseason, and the team is wasting no time in looking to trade him, heading into MLB’s Winter Meetings. It’s possible that the Yankees could acquire two big-name pitchers — with Corey Kluber, Carlos Carrasco and James Paxton all in the mix — in the near future, so they’re likely looking to deal Gray first, so they know what resources they have available. Andy Martino of SNY reported that the Yankees have multiple offers on the table, and that they’re close to trading him. The Reds are looking to make a splash for starting pitching this winter, so they could be in the mix. Also, the Athletics are apparently interested in bringing him back to Oakland. This will be a “buy low” scenario, so maybe that’s why so many teams have reported interest. Televising sporting events is big business, as sports fans know all too well. Fox Sports recently signed a five-year deal with the NFL for Thursday Night Football, worth over $3.3 billion (! ), which is an exorbitant amount of money, especially considering that some of the games aren’t even all that competitive, and ratings reflect that. Not only that, Fox is making sure it continues to have a strong hold on the MLB market as well, The network just renewed its contract with MLB, and its a significant increase from what it was previously playing. Fox Sports’ new seven-year deal cost $5.1 billion, according to a report from Eben Novy-Williams of the Sports Business Journal . MLB announces contract extension with FOX-TV, the deal, owners say, will pay about 30-40% more than previous contract. MLB also pulled off a streaming deal with DAZN. It’ll take a lot of advertising revenue for Fox to turn a profit on that deal.